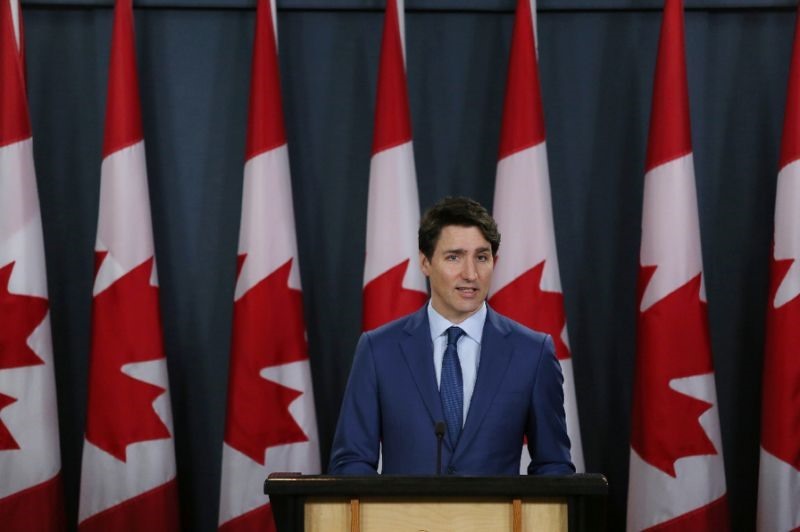 OTTAWA — Canada’s government doled out goodies for almost everyone in an election year budget on Tuesday that looks to brace a slowing economy and sagging support for Justin Trudeau’s Liberals. In a speech to parliament delayed by a Tory protest over the SNL-Lavalin affair, Finance Minister Bill Morneau pointed to past achievements - 900,000 new jobs since 2015 and the lowest unemployment in 40 years - while acknowledging fears that the best is behind Canadians. "There’s a growing sense of uncertainty taking root around the world," Morneau said. "And Canada is not immune to those worries." "A good job, the ability to make ends meet, the chance to build a life that’s at least as good as the one your parents had - that’s what we all want," he said. "With this budget we are continuing our proven and successful plan of investing in the middle class." Canada’s economy surged after the Liberals took office in 2015 and unleashed a massive stimulus. But growth is forecast to slow to 1.8 per cent this year and 1.6 per cent in 2020. Under the government’s plan, the fiscal deficit would balloon to Can$19.8 billion (US$14.9 billion), or 0.9 per cent of Canada’s gross domestic product. The federal debt, meanwhile, is forecast to rise to Can$705.4 billion, or 30.7 per cent of the economy, and keep rising with no end in sight. Former parliamentary budget officer Kevin Page noted more than 120 budget measures he framed as "a lot of sprinkles to make a lot of constituents as happy as possible." "In the context of a two trillion dollar economy, that spending is not going to change the economy fundamentally, but could make people’s lives a little bit better with relatively small amounts - that’s the gamble the government is taking," Page said. In some areas, such as a child welfare crisis gripping indigenous communities, "a little money could make a big difference. There could be enough of those measures throughout the budget," Page said.